Click the solution to refresh the license. Browse to License tab and click “Refresh License”. This will automatically connect to WORK 365 server and get the updated license file. 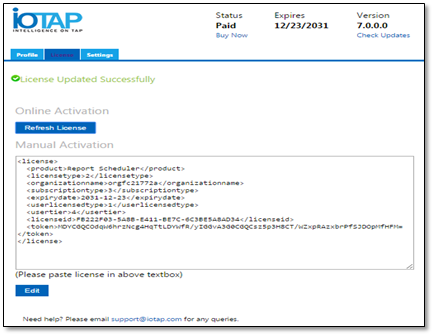 The License Tab can be accessed from the solutions. From the Settings >> Solutions and double-click the installed add-on solution file.